Preheat oven to 180°C (355°F). Heat the butter in a large, deep frying pan over high heat. Add the leeks and mushrooms and cook for 3–5 minutes or until brown. Spoon into a lightly greased 20cm x 30cm baking dish and top with ricotta, salt and pepper. Whisk eggs and cream in a bowl, pour over leek mixture and bake for 15–20 minutes or until puffed and golden. 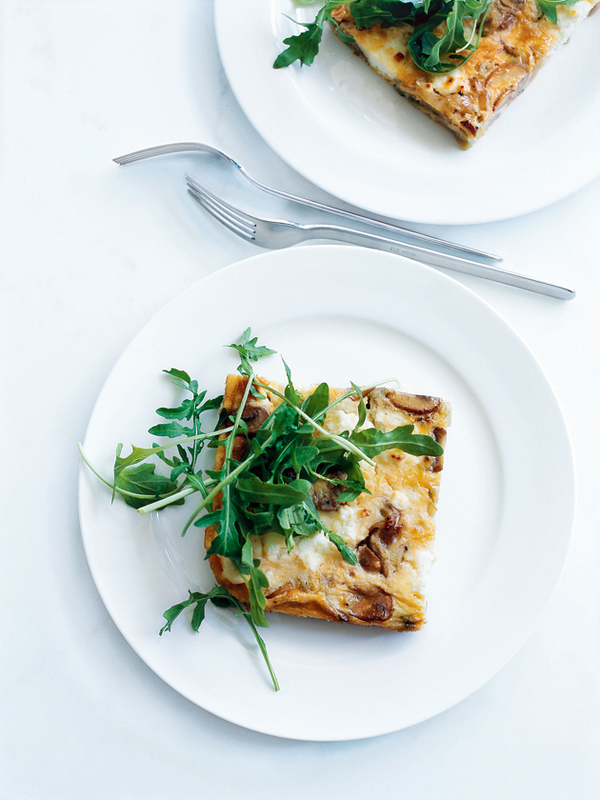 Slice and top with baby rocket to serve. Serves 2.